The vasayo rewards plan is a hybrid binary compensation plan (don’t worry if you don’t understand that 100%, I’ll get to it). 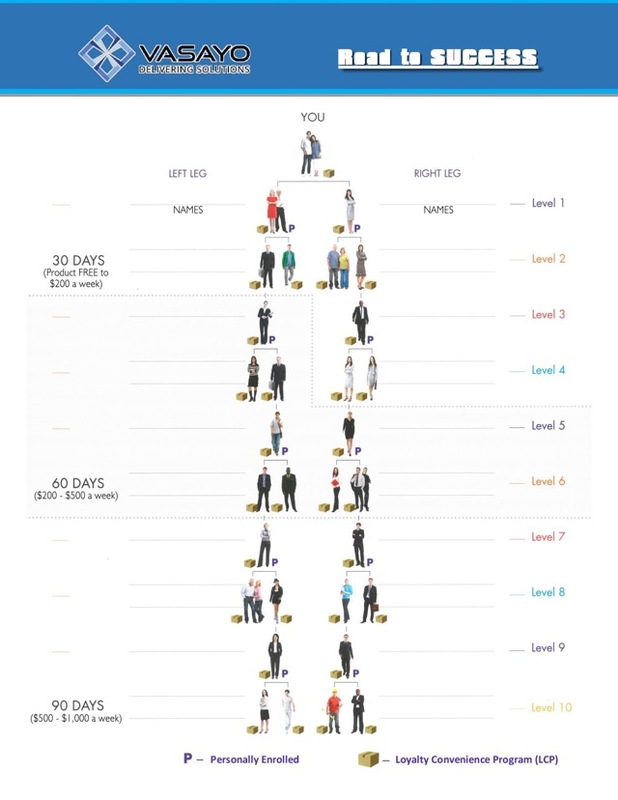 A quick look at the vasayo compensation plan pdf shows 18 ranks in vasayo rewards plan. 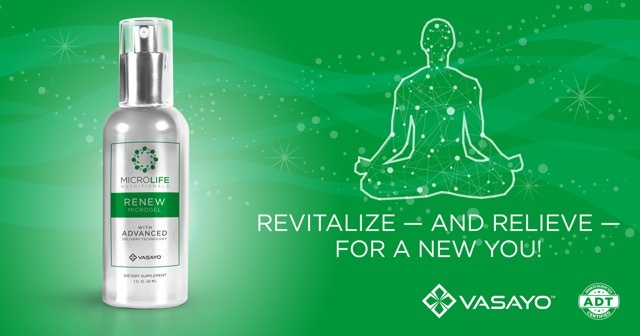 GV is “Group Volume” and is generated by the Vasayo Brand Partner’s downline. 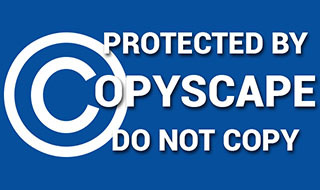 Active Brand Partner is any Vasayo Brand Partner who has generated at least 80PV in the last 4 weeks. 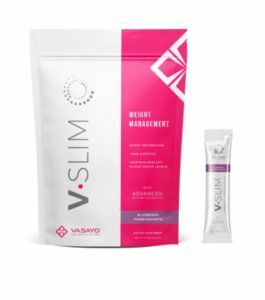 Vasayo Brand Partners earn a 20% commission from retail customer sales CSB (Customer Sales Bonus) for sales of the vasayo product line. 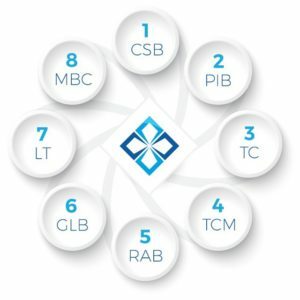 When you recruit a new person as a Vasayo Brand Partner, you get paid a PIB (Product Introduction Bonus) on that new person’s first commissionable order. Your residual earnings are paid through a binary compensation plan. All that means is that you have two teams (one on your left, and one on your right). 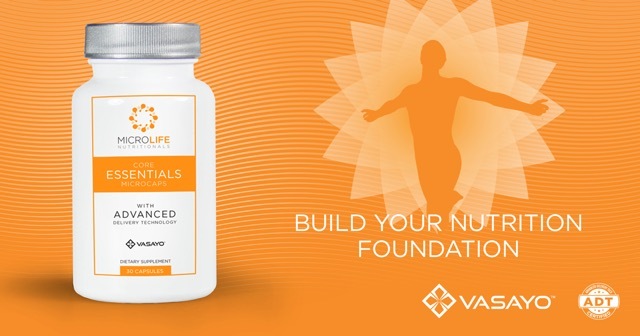 This is the heart of the vasayo comp plan. You can only ever have 2 legs (left and right), and so will everyone else in your downline. At the end of each week, Vasayo checks the total volume in both your left and right leg, and then pays you on the lesser volume leg. Once you have 480 GV in one leg and 240 GV in the other, you get paid a “cycle bonus” of $28. At the highest ranks of Crown blue diamond or higher, you can cycle up to 1100 times before you hit a “commission cap” . 1100 x $28 = $30,800 per week potential earnings. *Note – To qualify for the TC (Team Commissions) , Vasayo Brand Partners must recruit and maintain at least 2 active brand partners (1 on each side right, and left). 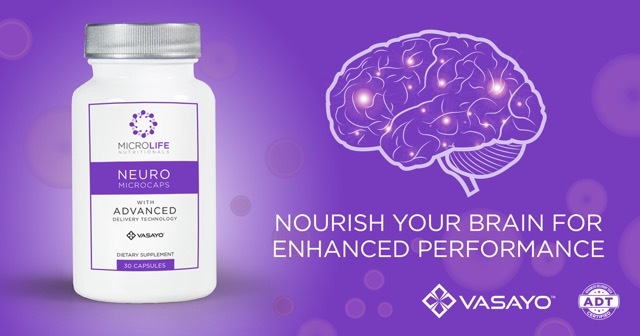 To qualify for the Vasayo Compensation Plan’s Matching Bonus, you must have at least 160 PV per month. The matching bonus is paid through unilevel generations of your sponsorship, up to 7 generations deep. THIS IS HUGE ! Think of it like a bloodline. Anyone that you recruit is in your “bloodline”, and of course anyone they go on to recruit and so on is allllllll traced back to you may possibly pay you a matching bonus check. If no Bronze ranked brand partner is found, you check match every single person in your “bloodline” (line of sponsorship) all the way down until a Bronze ranked brand partner is found. 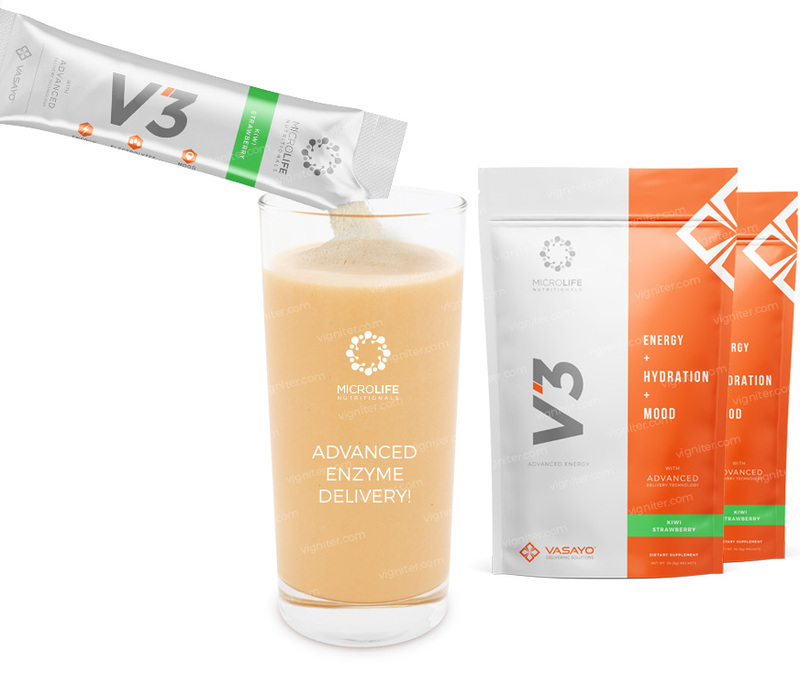 Once you reach the Vasayo Gold Level, and you have at least 160PV per month, you become eligible to receive 3% of Vasayo’s global CV (paid weekly). Some other “review” sites get this wrong and tell you it’s the Ruby level which is a few levels above the vasayo gold level; they are wrong. 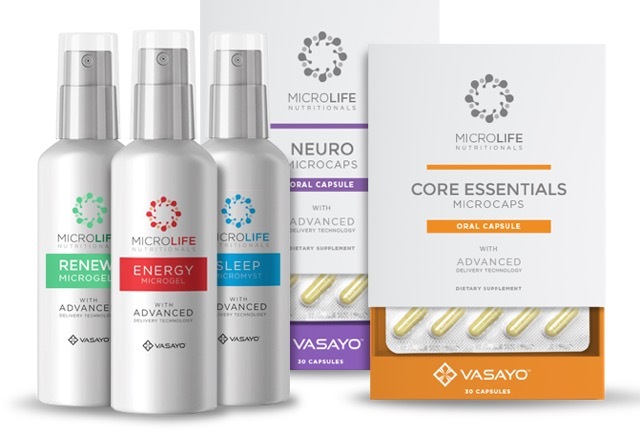 The cost to join vasayo depends on the amount of microlife vasayo products and discount you are looking for. The larger your initial product order, the more savings you receive. 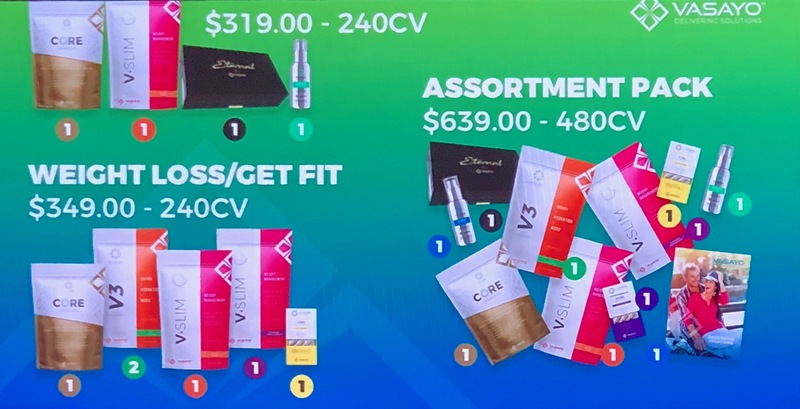 The vasayo start up cost is any of the following packages (the difference is the amount of products you get and the discount off of normal pricing. The bigger the order, the bigger the discount). 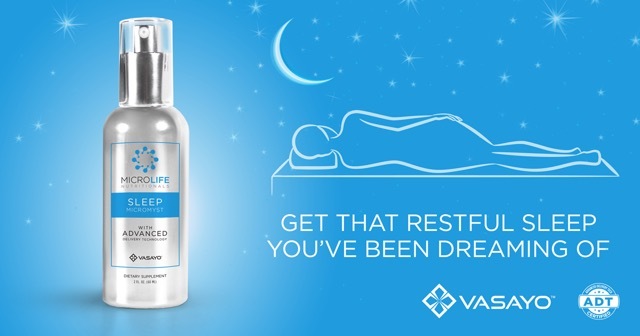 Again, you can click the product images above to read individual vasayo product reviews. 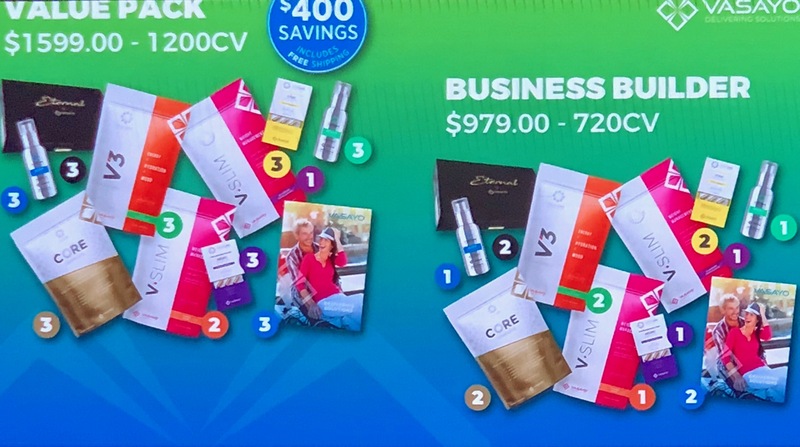 Vasayo Compensation Plan Review of the Vasayo Comp Plan PDF and Vasayo Rewards Program is provided by Jimmy & Cassie Fuentes, Vasayo MLM Independent Brand Partners & Founders Club Members.